Clemens Kuby, born in 1947, is an award-winning documentary filmmaker and best-selling author who was once a paraplegic. He documented worldwide phenomena of mental healing in his successful film and book of the same title Voyage into the Next Dimension. 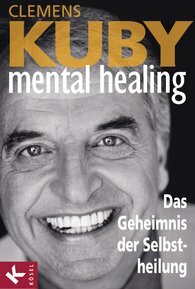 With Mental Healing®, Kuby has created a textbook that is at the same time moving and entertaining. He passes on his profound experiences concerning self-healing in numerous seminars and lectures at the European Academy for Self-Healing Processes, which he himself founded.